This DVD is a collection of six films explores the development and early uses of plastics, Mylar, saran wrap and many other forms of plastic that make our every day lives better and more convenient. This film has a run time of approximately 1 hour 49 minutes. 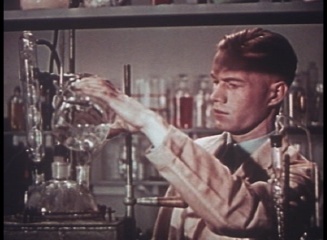 The Kingdom of Plastics (1945) - This film explores the properties of plastics and their uses in society just after World War II. What's It To You? 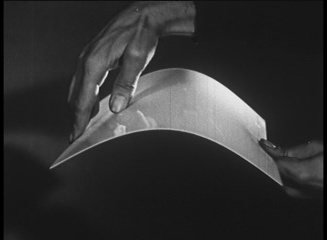 (1955) - This film explores the many uses of Mylar with a variety of scientific and entertainment oriented demonstrations including acrobats and trapeze artists using mylar in their demonstrations to show its strength flexibility. 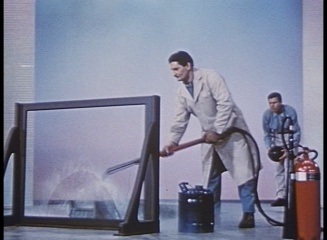 Looking Ahead Through Rohm & Haas Plexiglas (1947) - This film explores the evolution of plexiglas from military applications to use in the home. Industry on Parade: Plastic Age Anniversary - A 10 year celebration of the birth of plastic - shows the wide variety of ways plastic is being used by industry to create products for use in the military and at home. 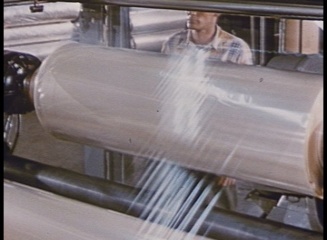 The Best Made Plans (1956) - This film explores Saran Wrap - showing all the uses in a modern 1950s household. Odds and Ends - A silent collection of film shorts that includes a variety of 50's era products and events - including clips on plastics and plexiglass.